Dr. Fredric Kleinbart was the former Director of Sports Medicine and is currently an active staff member at Hahnemann University Hospital. Additionally, he is an Associate Professor of Orthopaedic Surgery at Drexel University College of Medicine. He has a Certificate of Added Qualification in Sports Medicine and for the last 5 years he has been an associate master instructor of arthroscopy at the Orthopedic Learning Center which allows him to teach arthroscopies nationally. A graduate of the University of Pennsylvania School of Medicine, Dr. Kleinbart completed his residency training in Orthopaedic Surgery at Kingsbrook Jewish- Beth Israel Medical Centers and his Sports Medicine fellowship at Temple University Hospital. Dr. Kleinbart’s USA Olympic experience includes serving as the orthopaedic surgeon at the San Diego Olympic training center, as a ringside physician for USA Boxing, and as a ringside physician for the Olympic boxing trials. He was the head Orthopaedic surgeon and co-team physician for Drexel University. He was also the Orthopaedic consultant for the American Repertory Ballet and the Princeton Ballet School and has a long history as team physician for various collegiate and high school teams. He has been instrumental in the creation of specialty sports clinics including the Arts Medicine Center, Women’s Sports Medicine and Pediatric Sports Medicine clinics at Hahnemann University hospital and the Drexel University College of Medicine. 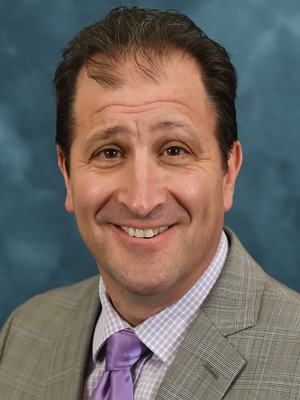 Dr. Kleinbart established the Hahnemann University Hospital and Drexel Sports Medicine Arthroscopy lab and is an Associate Master instructor for various national arthroscopy courses. He lectures frequently on such varied topics as “The Weekend Warrior,” “The Female Athlete" and “Common Orthopaedic Injuries”. He has a special interest in shoulder and knee reconstruction and the Female Triad. Dr. Kleinbart resides in Princeton, NJ with his wife and three children. "Dr kleinbart is an excellent and caring surgeon. He, Paul, Sara, xray tech Amanda and front desk staff were most helpful in making me feel comfortable with the rotator cuff surgery. Steven and stephanie were excellent physical therapists who facilitated the healing process." "Hi: I was saved by Fredrick after a 2nd floor fall from ladder, wow, he is amazing, best decision I had was getting surgery with him, Steve did great with first round of PT. Now, Nicole is amazing, 10, 5 Star, A+, My muscles are pushing to limits, range of motions is there, the funny exercises work, and cooking show on the TV gets me ready for food (as if I needed to eat more, LOL) I would strongly recommend this facility to everyone I know, thank you for taking such great care of me. I paid out of pocket $60.00 per visit 3 times a weeks, now I have my wife's insurance and pay nothing, it is all worth is as I feel whole again."